Friday 30th January 2015 – 1pm – Jamie Arrowsmith. 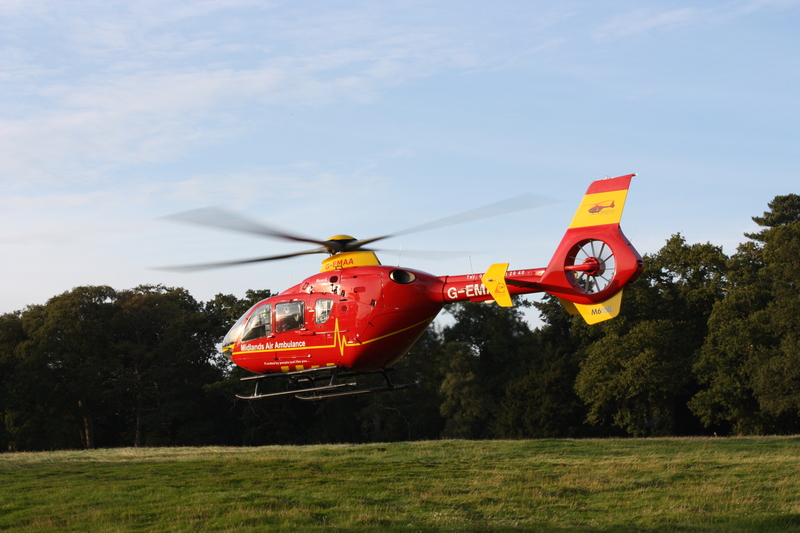 A woman has been airlifted to hospital following a road traffic collision in Herefordshire this morning. West Midlands Ambulance Service sent an ambulance, a paramedic in a rapid response vehicle and the Midlands Air Ambulance from Strensham to the incident on the A44 near to Pembridge, Leominster, shortly after 7.50am. A West Midlands Ambulance Service spokesman said: “Crews arrived on scene to find a car and lorry that had been in collision. “The collision reportedly caused the car to leave the road and end up on its side in a field, after going through a hedge. “The driver, a woman in her 20s, was trapped in the car as a result of the incident and had to be carefully cut free with the help of the fire service. “She was treated by ambulance staff for a leg fracture as well as pelvis and arm injuries. She was given pain relief on scene and immobilised before being airlifted to Queen Elizabeth Hospital Birmingham. The hospital had been alerted to the her condition prior to arrival. Friday 30th January 2015 – 11.30am – Jamie Arrowsmith. A woman has died following a road traffic collision in Burton this morning. The crash occurred on Alrewas Road, just off the A38 in Alrewas, at 5.45am and West Midlands Ambulance Service sent two ambulances and a paramedic officer to the scene. A West Midlands Ambulance Service spokesman said: “Crews arrived to find two cars that had been in significant collision. “Unfortunately, it quickly became apparent nothing could be done to save the woman travelling in one car and sadly, she was confirmed dead at the scene. Is it snowing where you are? Be careful out there! Thursday 29th January 2015 – 12.05pm – Chris Kowalik. A woman has been taken to a major trauma centre following a collision with a lorry in Birmingham. West Midlands Ambulance Service was called to the junction of Moseley Street and Alcester Street shortly before 10am today. The MERIT trauma team and a paramedic area support officer attended in rapid response vehicles. An ambulance crew also attended. A West Midlands Ambulance Service spokesman said: “A pedestrian, a woman in her fifties, was involved in a collision with a lorry. Wednesday 28th January 2015 – 3.30pm – Suzie Wheaton. 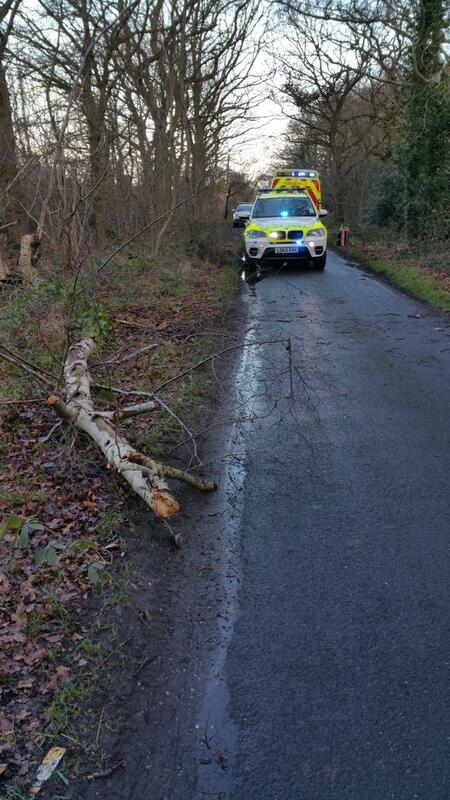 A woman has sustained multiple injuries following an incident involving a falling tree branch in Staffordshire this morning. West Midlands Ambulance Service dispatched an ambulance, a rapid response vehicle, a paramedic area support officer and the Midlands Air Ambulance from Staffordshire to the incident on Burton Road in Whittington, Lichfield shortly after 11.15am this morning. A West Midlands Ambulance Service spokeswoman said: “Ambulance crews were called to reports of a woman who had become injured after a large tree branch had fallen on her. The woman was discovered by a passer-by who alerted the service to the incident. “On arrival at the scene, crews found a woman, lying on the floor with a tree branch over her lower legs. 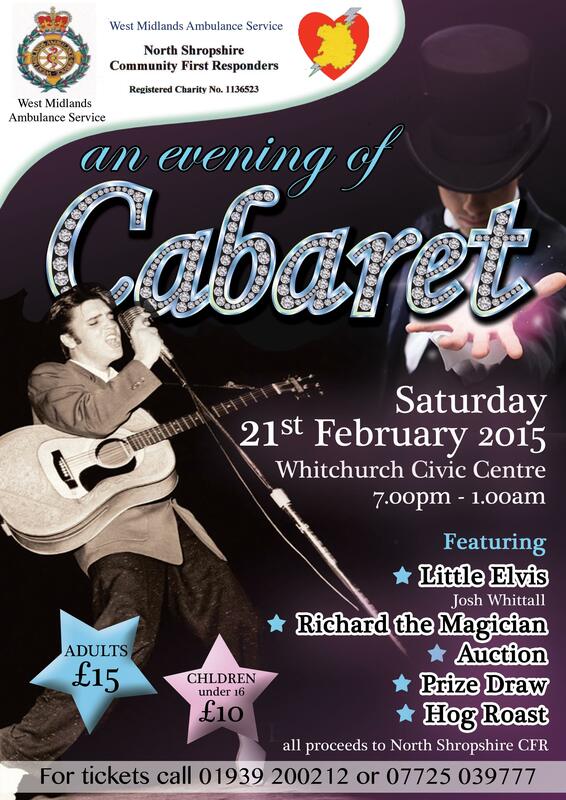 Tuesday 27th January 2015 – 11.15pm – Jamie Arrowsmith. A man has suffered a number of injuries and was left trapped in his vehicle following a road traffic collision with a tree in Newport tonight. West Midlands Ambulance Service was called to Chester Road, just off the A41, shortly after 8.20pm and sent an ambulance, a rapid response paramedic and a doctor to the scene. A West Midlands Ambulance Service spokesman said: “On arrival, crews discovered a car that had been significantly damaged after colliding with a tree. “The driver of the car, a man in his 20s, was trapped in the vehicle following the collision and had to be carefully cut free with the help of the fire service. “He was treated by ambulance staff for suspected leg and pelvis fractures as well as abdominal injuries. “The man, who remained conscious throughout, was given pain relief and immobilised with the use of a scoop stretcher and pelvic splint before being taken to Royal Stoke University Hospital for further treatment. Tuesday 27th January 2015 – 1.10pm – Chris Kowalik. 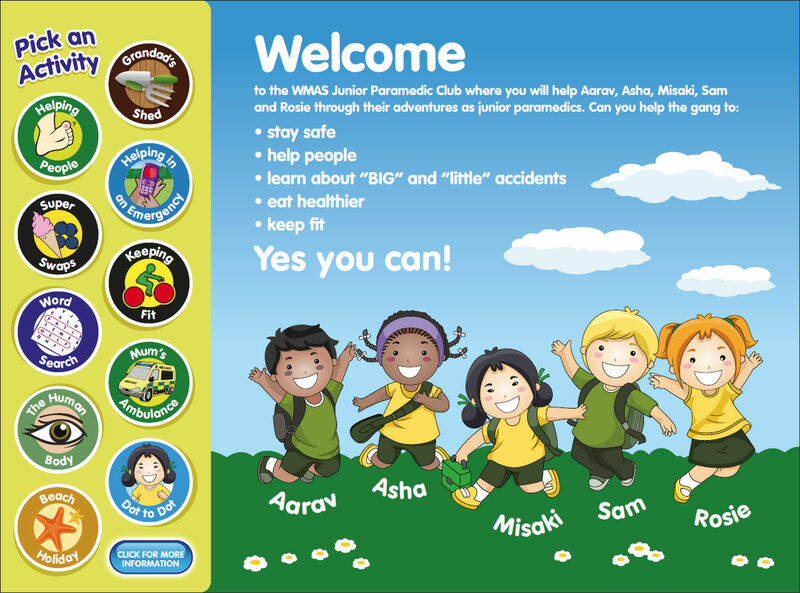 Children aged 4-7 can now learn about health as well as reading, writing and arithmetic with a new iPad app developed by West Midlands Ambulance Service. 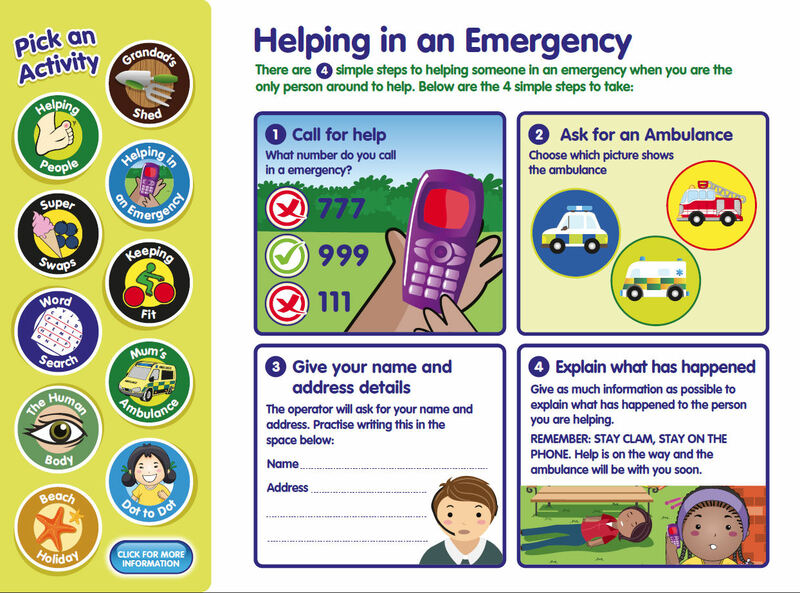 The free “Junior Paramedic” app brings Key Stage One learning into a health context. It features ten interactive activities in which children play or answer questions. The activities include identifying whether an accident was “big” or “little”, anatomy and physiology and staying safe while on holiday. Julian Rhodes, Head of Education & Training at West Midlands Ambulance Service said: “This has been peer reviewed by teachers. I’ve even tested it on my nieces and nephews. They love it and I love it. Tuesday 27th January – 9.40am – John Hawker. 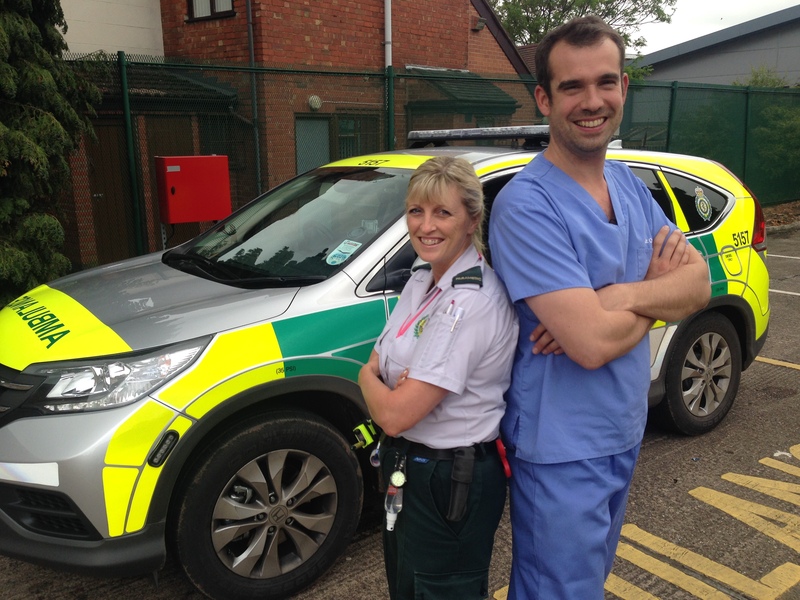 A Paramedic from West Midlands Ambulance Service will be back on our TV screens this week as part of a new 10 part series for children’s channel CBBC. 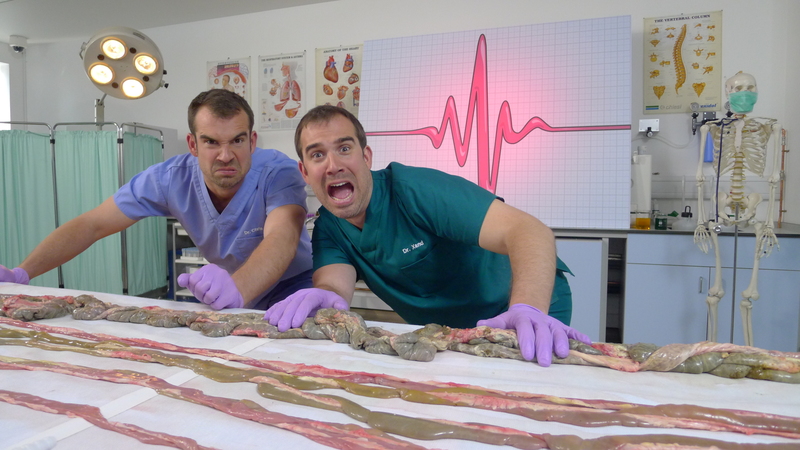 Series 3 of popular children’s programme ‘Operation Ouch’ is a medical series fronted by identical twins Dr Chris and Dr Xand van Tulleken, and is packed with incredible facts about the human body. Operation Ouch will be aired on CBBC every Tuesday, with the first episode of series 3 being tonight at 5.30pm. (Tuesday 27th January). Tuesday 27th January 2015 – 9am – Chris Kowalik. 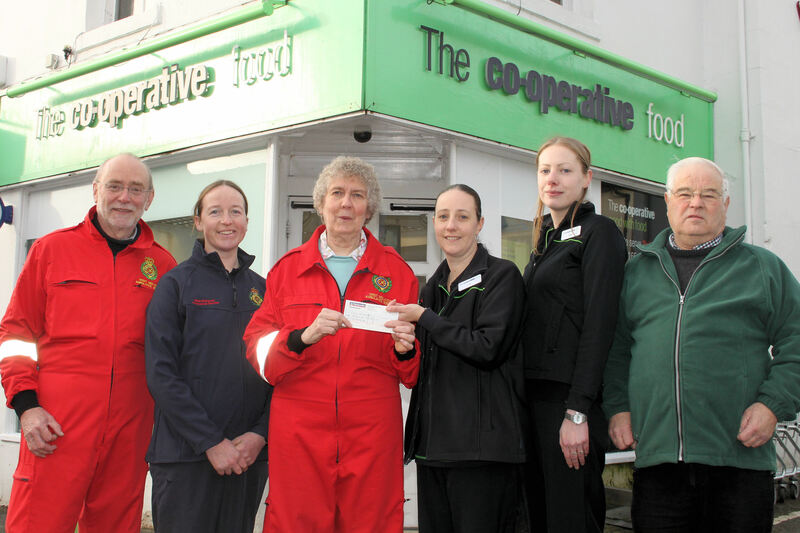 A Shropshire branch of The Co-Operative Group has raised more than a thousand pounds for local Community First Responders. The store in Bishops Castle collected donations from customers, as well as organising bingo, table-top sales, cake stalls and raffles. 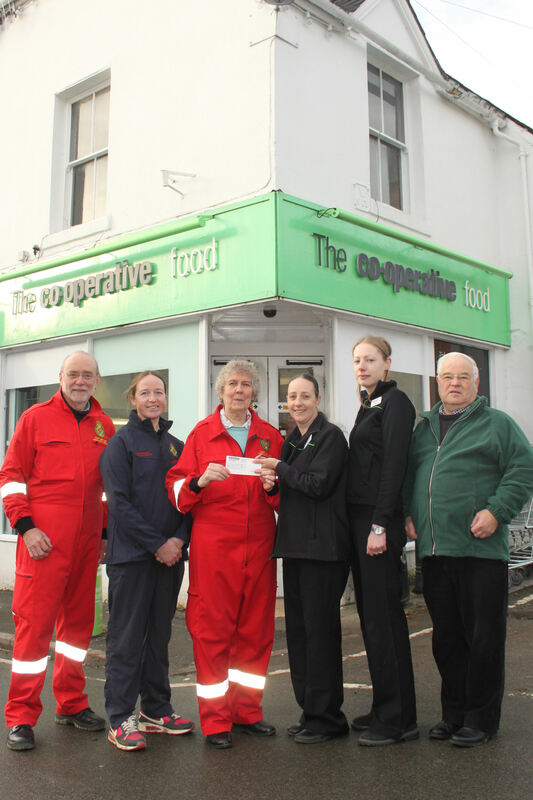 Mary Pullen, co-ordinator of the group, said: “Thank you to the Co-Op, its staff and customers for raising so much money for the local community and for supporting the local Community First Responders. Community First Responders are volunteers from all walks of life who are trained by West Midlands Ambulance Service in a variety of assessments and treatments. They are vital in remote areas and may be called upon to attend a medical emergency in their area while a blue-light ambulance service vehicle is en-route. Pictured left to right: James Sparkes (CFR), Emma Muddiman (CFR), Mary Pullen (CFR Co-Ordinator), Jo Young (Colleague Team Member, The Co-Operative Group), Daisy Nottingham (Colleague Team Member, The Co-Operative Group), James Morris (buddy driver for CFR). Tuesday 27th January 2015 – 8.40am – Chris Kowalik. Part of the M6 in Staffordshire was closed overnight following a collision involving two lorries, a car and a van. West Midlands Ambulance Service was called to the southbound carriageway at junction 15 at 10.25pm yesterday (Monday). A West Midlands Ambulance Service spokesman said: “Two men, both in their twenties had minor injuries and were both taken to Royal Stoke University Hospital. Monday 26th January 2015 – 9.15pm – Chris Kowalik. Three people have been injured in a road traffic collision in Warwickshire. West Midlands Ambulance Service was called to Camp Hill Road, Nuneaton, shortly before 4.25pm today. 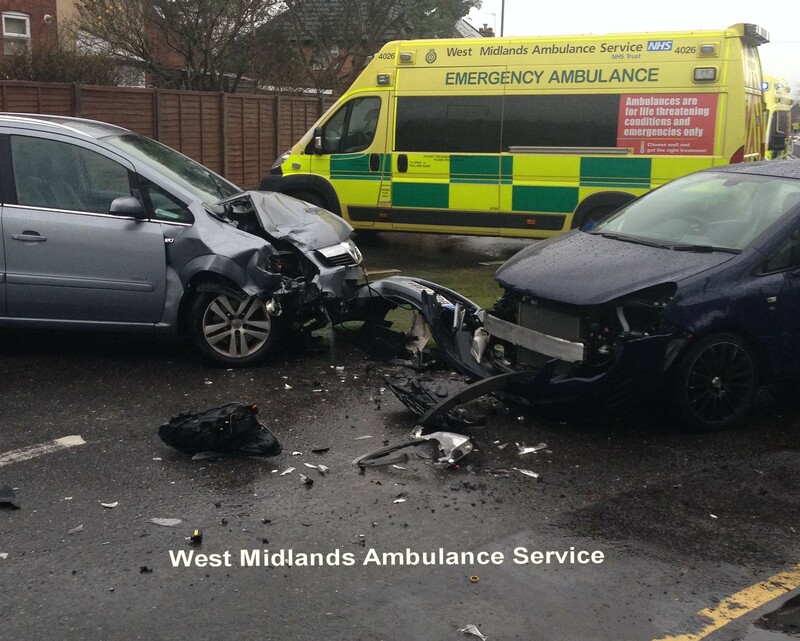 A West Midlands Ambulance Service spokesman said: “Two cars had collided. A woman in her sixties who was driving one of the cars had a broken leg. A splint was applied, she was given pain relief and was fully immobilised before being taken to University Hospital Coventry and Warwickshire. A cyclist who ended up beneath a van in Staffordshire was initially feared to have suffered very serious injuries. West Midlands Ambulance Service was called to Lichfield Road in Stone shortly before 5.20pm today. A BASICS emergency doctor, a paramedic area support officer, a rapid response vehicle and an ambulance crew attended. A West Midlands Ambulance Service spokesman said: “The cyclist, a man in his forties, was trapped from the waist-down beneath the van. Initially it was thought he had suffered serious leg injuries. He was given pain relief and, with the help of the fire service, the vehicle was lifted in order for him to be released. Monday 26th January 2015 – 1.30pm – John Hawker. 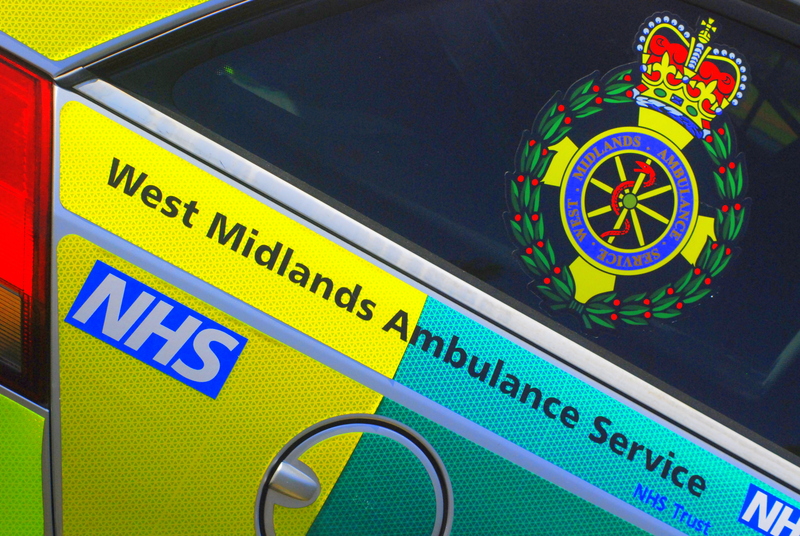 A cyclist has been treated by paramedics for serious injuries following an RTC in Wolverhampton this morning. The crash occurred at the junction of Birmingham New Road and Thompson Avenue at around 7.00am. An ambulance and the crew of the Midlands Air Ambulance in a rapid response vehicle attended the scene. “The cyclist, a man believed to be 26 years old suffered serious leg and arm injuries. He received emergency treatment at the scene and his condition was stabilised. “The man was then transferred by land ambulance to Queen Elizabeth Hospital Birmingham for further emergency treatment. Saturday 24th January 2015 – 11.10pm – Claire Brown. A woman has been seriously injured after a collision with a car in Handsworth this evening. West Midlands Ambulance Service was called to reports of a collision between a car and a pedestrian near Lidl on the Soho Road in Handsworth shortly before 9.30pm (Saturday). An ambulance, a paramedic area support officer and medics from the West Midlands Central Accident Resuscitation Emergency (CARE) team attended the scene. A West Midlands Ambulance Service spokeswoman said: “The pedestrian, a woman believed to be in her 20s, was underneath a car following a road traffic collision when ambulance staff arrived on scene. “The ambulance staff and medics assessed the woman and found she had sustained suspected injuries to her abdomen, pelvis and leg. Saturday 24th January 2015 – 11.00pm – Claire Brown. A woman ended up trapped in the wreckage of her car for 60 minutes following a collision with a wall in Staffordshire this evening. 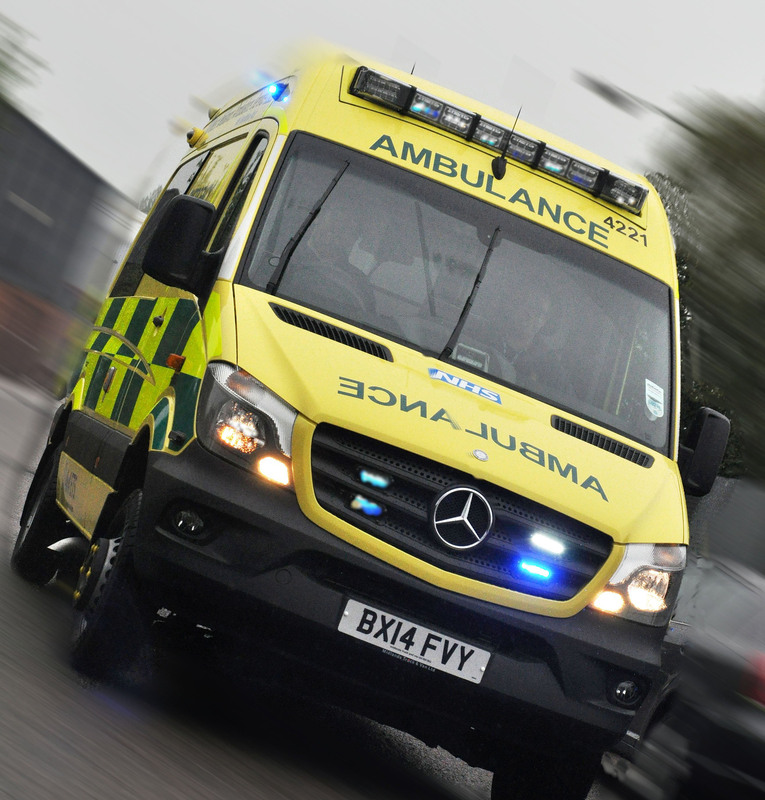 West Midlands Ambulance Service received a 999 call to reports of a road traffic collision in Evershed Way, Burton-upon-Trent at 8.20pm (Saturday). Two ambulances, a paramedic area support officer and a MERIT trauma doctor were sent to the scene. A West Midlands Ambulance Service spokeswoman said: “Ambulance staff arrived on scene to find a badly damaged car which had been in collision with a wall. The driver of the car, a woman in her 30s, was trapped in the wreckage. Saturday 23rd January 2015 – 6.30am – Claire Brown. An unconscious woman who was rescued from a house fire received vital pre-hospital care by the ambulance service and is recovering in hospital this morning. West Midlands Ambulance Service was called to Greenfinch Road in Castle Bromwich shortly before 3.00am (Saturday). An ambulance, a paramedic area support officer and two paramedics attended the scene along with West Midlands Fire Service. A West Midlands Ambulance Service spokeswoman said: “The woman was rescued from the blaze at the property by firefighters and was unresponsive after being overcome by smoke. “Ambulance staff quickly administered oxygen therapy which thankfully helped the woman to regain full consciousness. Upon assessment, the woman was found to have suffered no burns from the fire and continued to respond well to treatment on scene indicating no serious issues with her airways. Friday 23rd January 2015 – 4.20pm – Claire Brown. 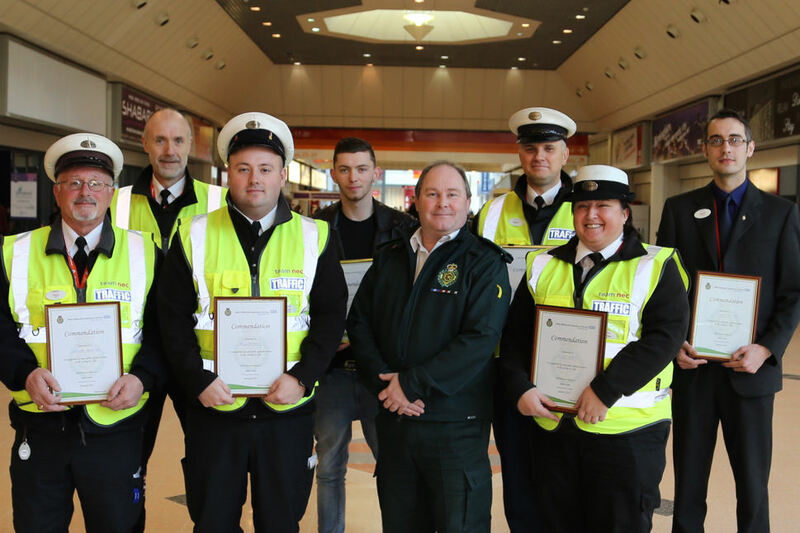 Traffic and security staff from the National Exhibition Centre in Birmingham have been praised by the ambulance service for their life saving care. The NEC staff came to the aid of not one but two members of the public in 2014 after they both suffered a cardiac arrest. In October, a man collapsed by the Information Desk during the Motorhome and Caravan Show. 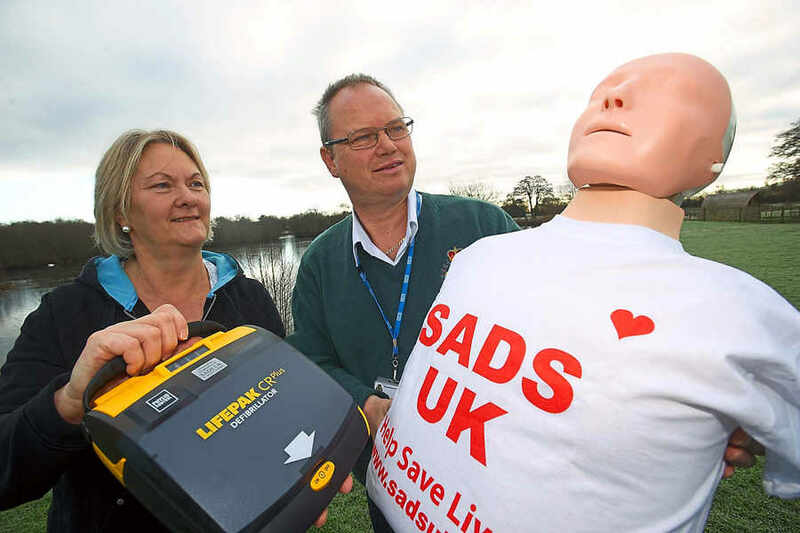 Staff quickly established he wasn’t breathing and immediately commenced CPR and used their onsite Automated External Defibrillator, a device used to help restart a heart. Thankfully, due to their quick actions, the man started to breathe for himself before the ambulance service arrived. The second case was in December during the Clothes Show Live. A couple were just about to leave The NEC in their car when the husband noticed his wife looked unwell. Realising the seriousness of her condition, he turned the car around and returned to the car park for help. A team effort by The NEC staff meant that an ambulance was called immediately, a defibrillator was bought to the scene and CPR was carried out on the woman. The staff also ensured her husband was looked after during the ordeal. Thankfully, both patients went on to make a full recovery. On Monday the 19th January, during The NEC’s ‘Good Practice and Recognition Awards’, seven staff were presented with commendations from West Midlands Ambulance Service. Andy Jeynes, the Trust’s Community Response Manager, presented the awards and said: “These cases are a great example of team work and shows just how important early CPR is when someone is in cardiac arrest. If it hadn’t of been for their decisive actions, the outcome for both patients would’ve ultimately been very different. Pictured (left to right): Norrie Henderson, Paul Loveridge, Tom Clarke, Jeff Walmsley, Andy Jeynes, Richard Brown, Nadine Waldron, Darrell Robinson. Friday 23rd January 2015 – 10.00am – Claire Brown. An elderly woman, who was rescued from a blaze at her property by the fire service, was treated for severe smoke inhalation by two ambulance services this morning. West Midlands Ambulance Service was called to a bungalow fire in Shotteswell, on the border of Oxfordshire, at 5.30am this morning (Friday). A paramedic area support officer attended the scene together with an ambulance from neighbouring South Central Ambulance Service. A West Midlands Ambulance Service spokeswoman said: “An elderly woman, believed to be in her 90s, had been rescued from the fire by the fire service. “The woman was suffering from severe smoke inhalation and ambulance staff worked to provide her with oxygen therapy to stabilise her condition. Friday 23rd January 2015 – 9.15am – Claire Brown. One man has received pre-hospital care at the roadside by medics following a single car road traffic collision in Herefordshire last night. West Midlands Ambulance Service was called to the A4110 in Leintwardine at around 9.30pm (Thursday). Two ambulances, a responder paramedic and a MERIT trauma doctor were sent to the scene. A West Midlands Ambulance Service spokeswoman said: “When ambulance staff arrived they found a car which had rolled over following a collision. One occupant, a 24 year old man, had reportedly been thrown from the vehicle and had sustained a serious head injury and suspected abdominal and pelvic injuries. “Ambulance staff stabilised the man’s condition and immobilised him with a neck collar, spinal board and pelvic splint before transferring him to the ambulance. 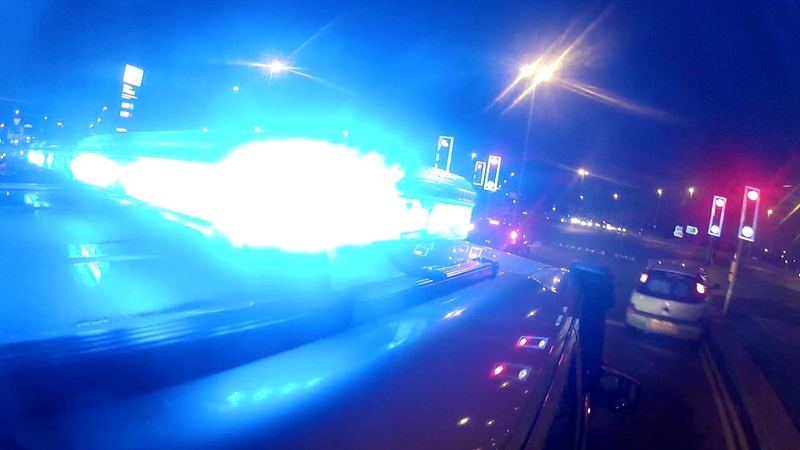 The man was taken by ambulance using blue lights and sirens to Queen Elizabeth Hospital Birmingham; the MERIT doctor met the ambulance en route to provide further emergency treatment to the man for the remainder of the journey to A&E. Friday 23rd January 2015 – 8.20am – Claire Brown. A woman died last night on railway tracks in Penkridge. West Midlands Ambulance Service was called to reports of a collision between a pedestrian and a train near Station Road, Penkridge, Staffordshire at 8.25pm (Thursday). A paramedic area support officer, a community first responder, a community paramedic, an ambulance and paramedics from the Trust’s Hazardous Area Response Team attended the scene. A West Midlands Ambulance Service spokeswoman said: “Sadly, it quickly became apparent that nothing could be done to save the woman and she was confirmed dead on scene. Thursday 22nd January 2015 – 9.00pm – Claire Brown. A two car collision has left a woman dead and a man with minor injuries in Shropshire this evening. West Midlands Ambulance Service was called to the A456 just out of Burford shortly after 5.15pm (Thursday). Two ambulances, a senior paramedic officer, a community paramedic, a BASICS doctor from Mercia Accident Rescue Service (MARS), a MERIT trauma doctor and three paramedics from the Midlands Air Ambulance bases in Cosford and Strensham attended the scene by road. A West Midlands Ambulance Service spokeswoman said: “Ambulance staff arrived on scene to find two cars which had been involved in a collision. The driver and single occupant from one car, which had reportedly rolled over, was trapped in the wreckage. Sadly, it quickly became apparent to staff that nothing could be done to save the patient, a woman, and she was confirmed dead on scene. Thursday 22nd January 2015 – 11.00am – Suzie Wheaton. Two drivers have been described as being extremely lucky to have not suffered more serious injuries following a road traffic collision in Shropshire today. West Midlands Ambulance Service was called to reports of a lorry and a van that had been in collision on the B5065 in Wem Rural shortly after 7.15am this morning. Two ambulances, a paramedic area support officer and a rapid response vehicle from the Midlands Air Ambulance base in Cosford, carrying a trauma doctor and a critical care paramedic, were dispatched to the scene. A West Midlands Ambulance Service spokeswoman said: “Crews arrived at the scene to find a lorry and a van that had been in collision. “Each vehicle had been carrying single occupants at the time of the incident, both of which were trapped within their vehicles due to the significant damaged sustained in the incident. 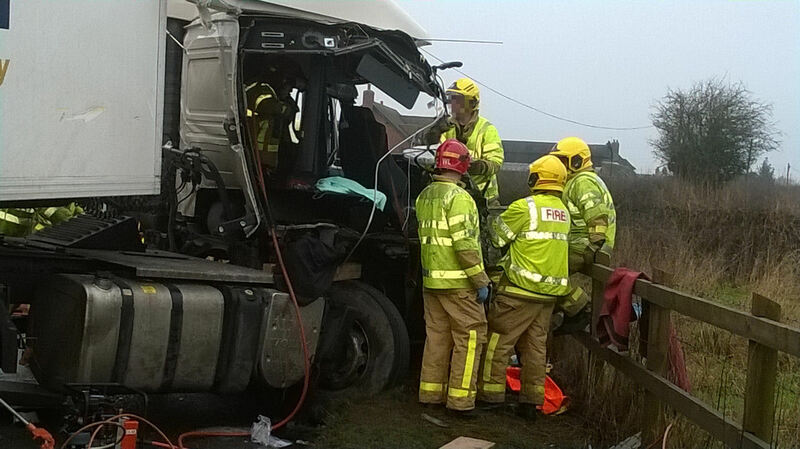 “The driver of the lorry, a man, was trapped for approximately one hour. Emergency services worked closely together to free the man safely. The man was treated at the scene for facial injuries and a laceration to his head. “The van driver, a man, was also trapped for a short period of time. He was treated for facial and knee injuries. “Both men were assessed by the doctor at the scene and cleared of any potential spinal injuries prior to being freed from their vehicles. Wednesday 21st January 2015 – 10.00pm – Claire Brown. 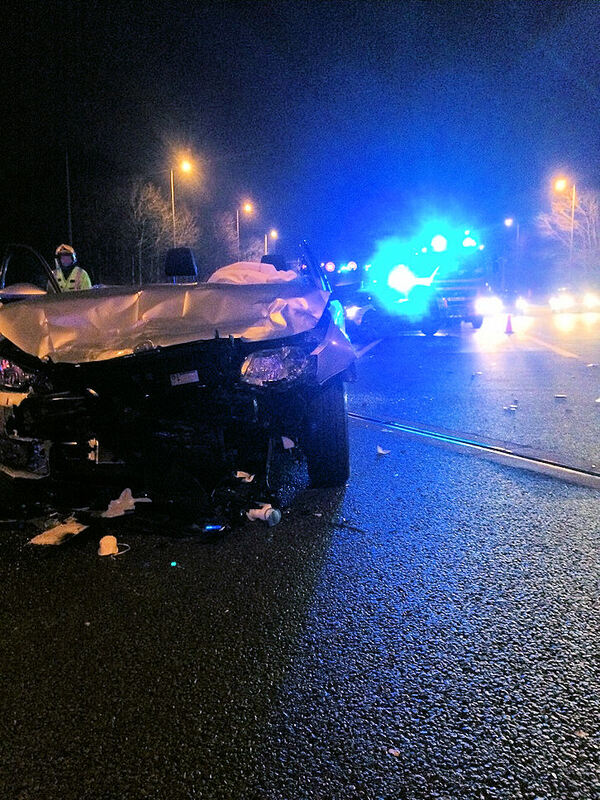 Four people have escaped serious injury following a three car collision on the M42 in Solihull this evening. West Midlands Ambulance Service was called to the southbound carriageway of the M42 between junction 6 and 5 shortly before 6.00pm (Wednesday). A community paramedic and an ambulance were sent to the scene. 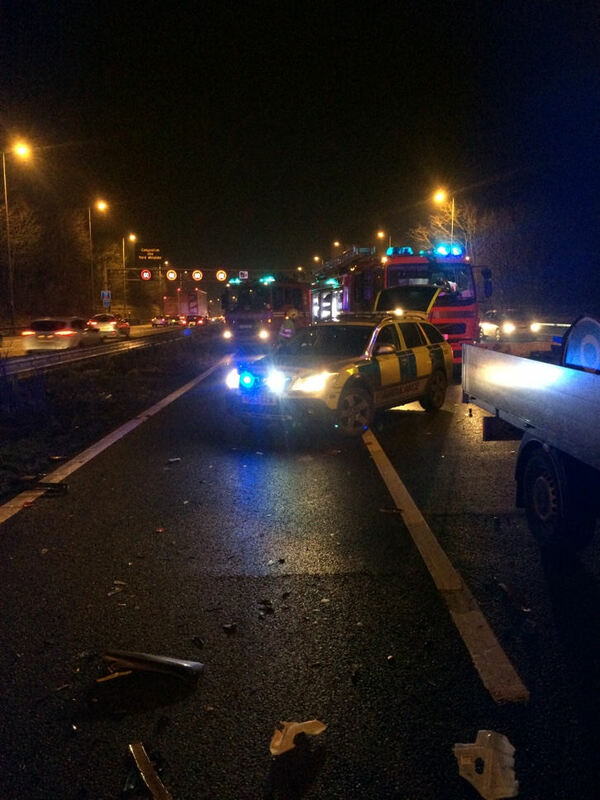 A West Midlands Ambulance Service spokeswoman said: “The three car collision caused substantial damage to all three cars and debris was strewn across the carriageway. Wednesday 21st January 2015 – 6.30pm – Jamie Arrowsmith. Two people, one of whom was a 12-year-old boy, have suffered a number of injuries following a collision with a car outside a school in Birmingham this afternoon. West Midlands Ambulance Service was called to the incident near to Moseley School, Wake Green Road, Moseley, shortly after 3.30pm and sent two ambulances, a paramedic in a rapid response vehicle, a paramedic area support officer and a MERIT trauma doctor to the scene. A West Midlands Ambulance Service spokesman said: “On arrival, crews discovered two patients who had been involved in a collision with a car. “The first patient, a boy, was treated by ambulance staff for cuts to his head and a fractured right leg. He was immobilised and given pain relief before being taken to Birmingham Childrens Hospital for further treatment. “The second patient, a woman in her 30s, was treated for a fractured leg, injuries to her head and a suspected pelvis injury. She was also immobilised and given pain relief before being taken to Queen Elizabeth Hospital, Birmingham. Tuesday 20th January 2015 – 4.55pm – John Hawker. 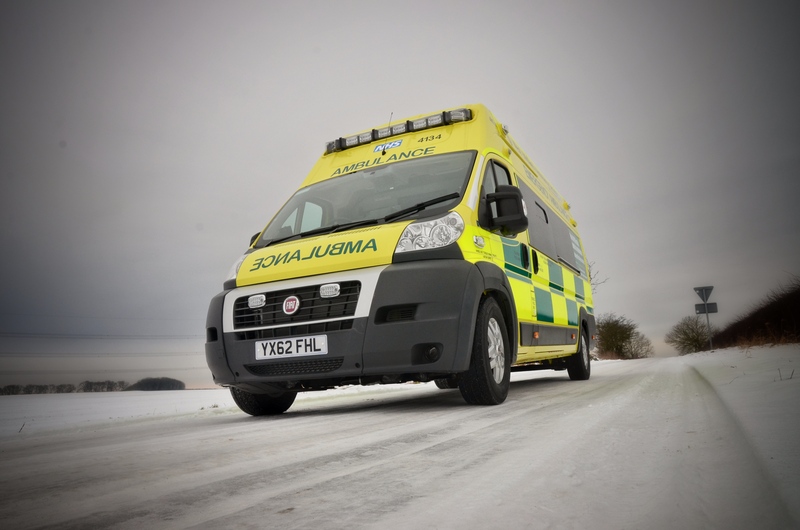 With freezing temperatures and snow fall forecast for Tuesday evening and overnight in some parts of the West Midlands, West Midlands Ambulance Service is urging the public to take some simple precautions to stay safe. A West Midlands Ambulance Service spokesman said: “There are simple steps that the public can take to help them stay safe during this wintery weather. If you do have to go out make sure you wrap up warm and wear sensible footwear, helping to avoid slips, trips and falls. Tuesday 20th January 2015 – 2.15pm – John Hawker. Six people have been treated for injuries following a crash on the M6 this lunchtime. The crash occurred Northbound between Junction 11 and 12 at around 12.30pm. Three ambulances, two paramedic officers, a BASICS Doctor, the Midlands Air Ambulance from Cosford and members of the Trusts HART Team attended the scene. A West Midlands Ambulance Service spokesman said: “We received emergency calls to reports of around 15 vehicles that had been in a collision. “On arrival crews found a number of vehicles that appeared to have been involved in the incident. “Six adults received treatment at the scene for minor injuries by ambulance crews. Five of the patients were discharged at the scene and did not require further hospital treatment. Monday 19th January 2015 – 5.50pm – Chris Kowalik. A man who broke his ankle while out walking in a remote location in the Shropshire Hills had to be carried to safety down the middle of a stream. 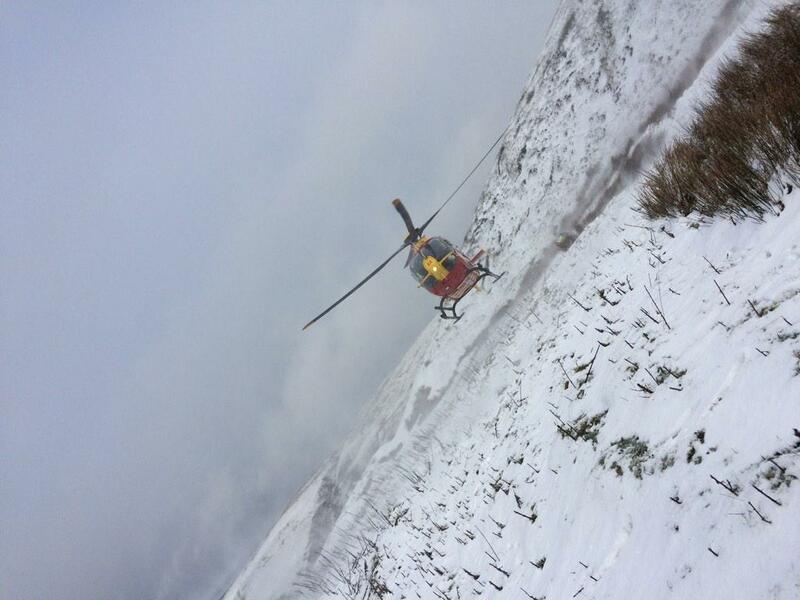 West Midlands Ambulance Service was called to a waterfall within Carding Mill Valley shortly before 1.15pm today. A West Midlands Ambulance Service spokesman said: “The man who is in his forties had a broken ankle. He was next to a waterfall along a rockface. The only way to get to him was on foot but conditions on the ground were extremely icy today. “When ambulance crews got to him, his ankle was placed in a vacuum splint and he was given pain relief at the scene. “With temperatures low and the prospect of fading light, Shropshire Fire and Rescue Service was called on to help get the man away from where he had fallen to the ambulance which was parked some distance away. This, they could only do by carrying him on an ambulance service scoop stretcher in the stream itself. Saturday 17th January 2015 – 6pm – Jamie Arrowsmith. A man has been airlifted to hospital following treatment from ambulance staff after he fell from a sledge in Leek this morning. West Midlands Ambulance Service was called to a hilly area near to Blakelowe Lane, Thorncliffe, shortly before 11am and sent an ambulance, a paramedic area support officer and the Midlands Air Ambulance from Staffordshire to the scene. A West Midlands Ambulance Service spokesman said: “On arrival, crews found a 30-year-old man who had suffered leg injuries after falling from a sledge. “Following assessment from ambulance staff he was treated for a fractured leg, immobilised with the use of a vacuum splint and given pain relief. Crews also worked hard to ensure the man was kept warm in the cold conditions. Thursday 15th January 2015 – 10.30pm – John Hawker. A man has died and three other have been injured following an RTC in Worcestershire this evening. The crash occurred on Ribbesford Road, Areley Kings, Stourport on Severn just before 6pm. Two ambulances, two rapid response vehicles and one paramedic officer attended the scene. A West Midlands Ambulance Service spokesman said: “Crews arrived to find two cars that had been in a substantial collision. “Unfortunately, it quickly became apparent nothing could be done to save the man travelling in one car and sadly, he was confirmed dead at the scene. Thursday 15th January 2015 – 4.30pm – Claire Brown. This was the comment from Birmingham Responder Paramedic Jack Lewis after attending a road traffic collision involving a motorcyclist in Harborne this morning. 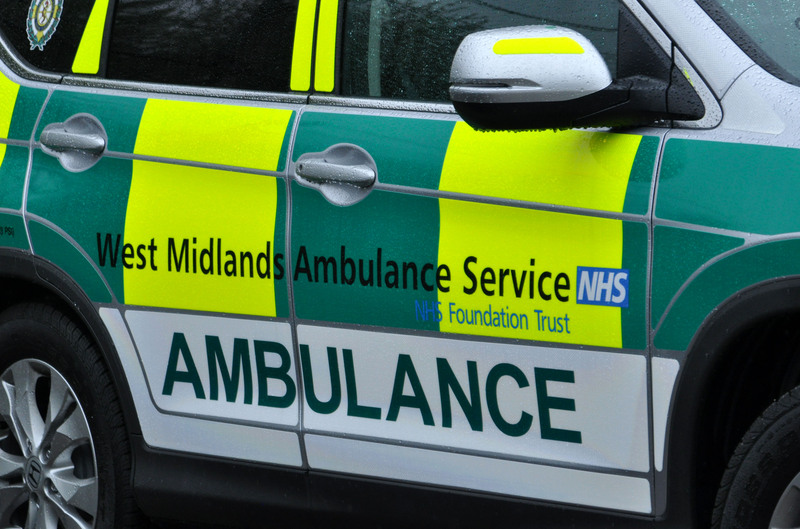 West Midlands Ambulance Service was called to a collision involving a car and a motorcyclist in Lordswood Road, Harborne shortly after 11.00am (Thursday). An ambulance and a responder paramedic with a student paramedic on board attended the scene. A West Midlands Ambulance Service spokeswoman said: “Crews arrived to find a badly damaged motorbike and a car with damage to it’s side. The motorcyclist, a 23-year-old man, was suffering from pain in his side. Ambulance staff assessed the man and found he had sustained a suspected injury to his upper leg and pelvis. “The man was given pain relief and immobilised onto a spinal board before being taken to Queen Elizabeth Hospital Birmingham for further investigation. “The driver of the car was assessed but suffered no injuries. Thursday 15th January 2015 – 7.30am – John Hawker. 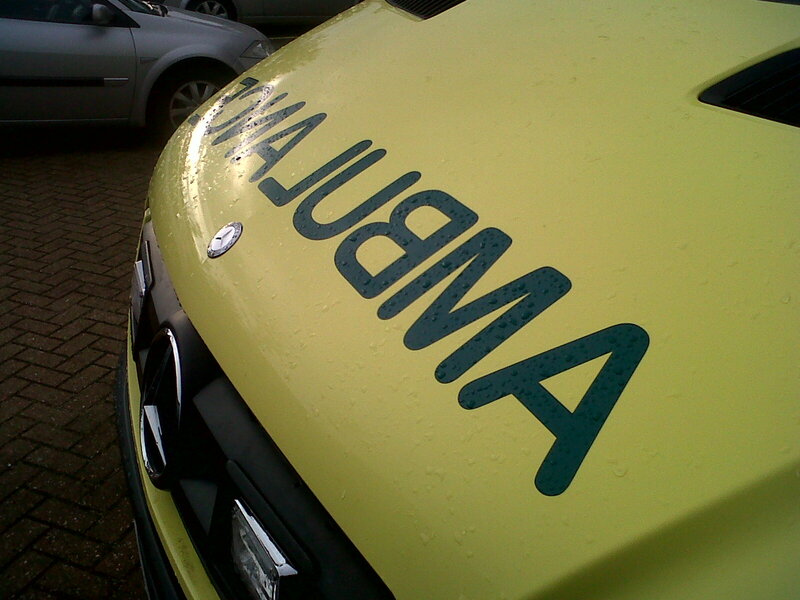 A motorcyclist has been seriously injured following an RTC in Staffordshire last night. 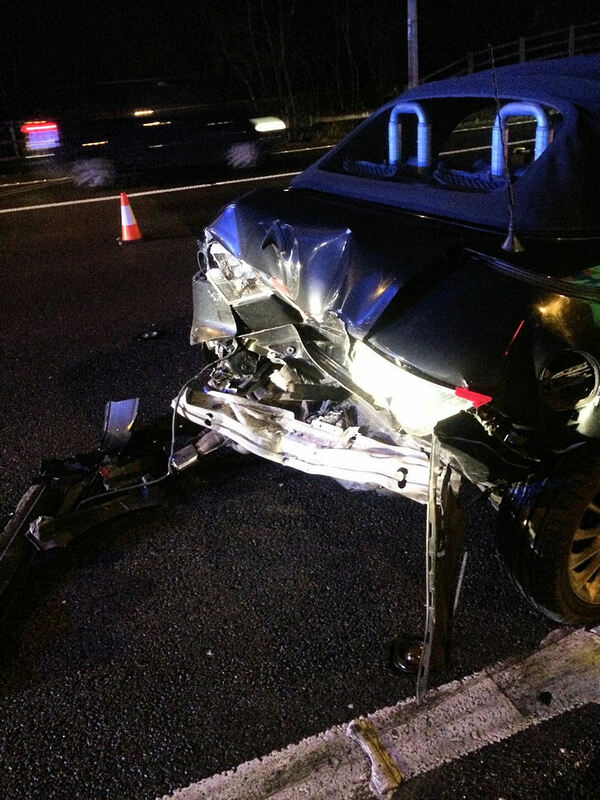 The incident occurred at the junction of the A5 and Ivetsey Road, Wheaton Aston at around 9.10pm. Two ambulances, a community first responder, a rapid response vehicle, a paramedic officer, the Trusts MERIT Team and a BASICS Doctor attended the scene. A West Midlands Ambulance Service spokesman said: “Crews arrived to find a car and a motorcycle that had been in a collision. “The man riding the motorcycle, had suffered serious head, leg and pelvic injuries. The man, believed to be in his 20’s, received emergency treatment at the scene and was also anaesthetised by the Doctor. “The man was transferred by ambulance using blue lights and sirens to Royal Stoke University Hospital for further emergency treatment. 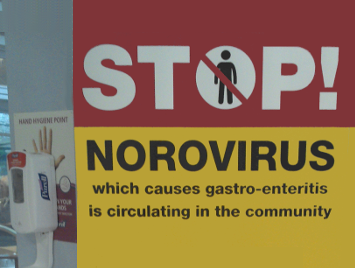 The hospital had been pre alerted to the patients’ serious condition. Wednesday 14th January 2015 – 4.20pm – Suzie Wheaton. A woman was airlifted to hospital following a three vehicle road traffic collision in Warwickshire today. West Midlands Ambulance Service dispatched an ambulance, a paramedic area support officer and the Warwickshire and Northamptonshire Air Ambulance to the collision on Birmingham Road in Budbrooke at approximately 9.35am this morning. A West Midlands Ambulance Service spokeswoman said: “Crews arrived on scene to find three cars that had been in collision. “The driver of one of the vehicles, a woman in her 50’s, was found to be trapped in her car. Ambulance crews worked closely with the fire service for over an hour to safely extricate the woman. “The casualty was treated at the scene for a leg fracture and shoulder and arm injuries. 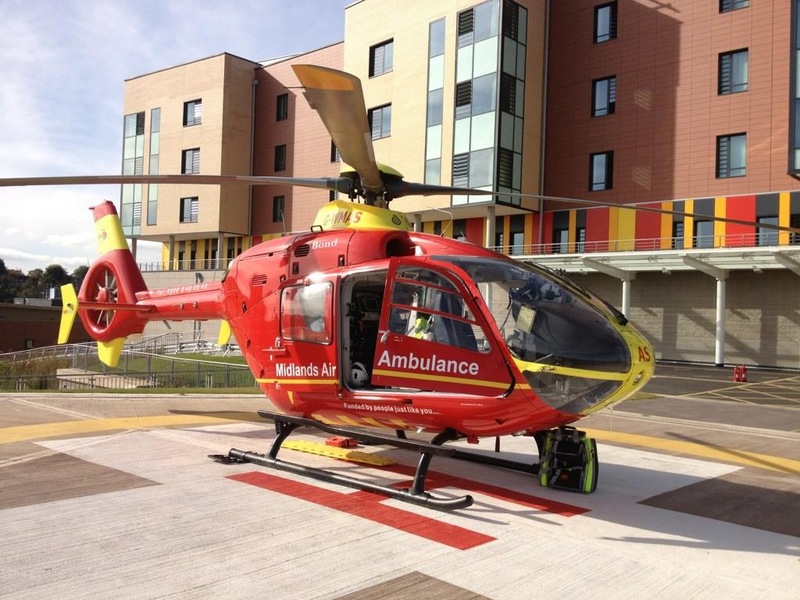 The woman was fully immobilised and given pain relief at the scene before being airlifted to University Hospital of Coventry and Warwickshire for specialist treatment. “The driver of a second car, a man, was treated for a minor hand injury and was discharged at the scene. Wednesday 14th January 2015 – 1.45pm – Murray MacGregor. 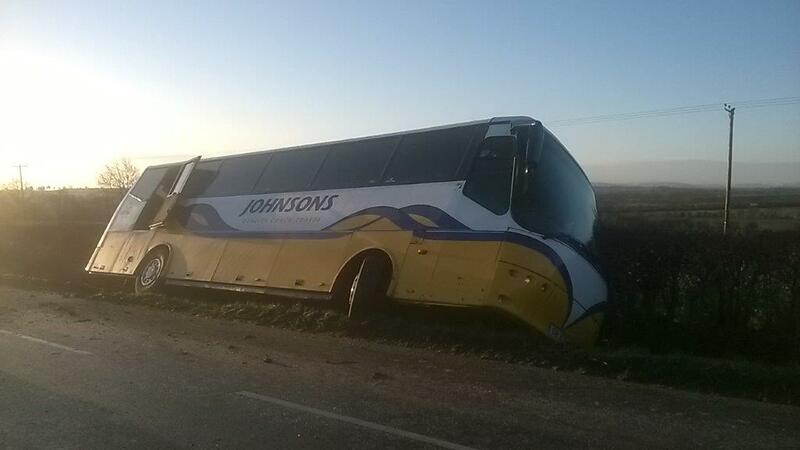 Over 40 school children avoided injury after the bus they were on skidded off a country road an ended up in a ditch. The incident happened at about 9.10am this morning (Wednesday) on The Ridgeway on the outskirts of Stratford-upon-Avon. A rapid response vehicle and a paramedic officer were sent to the scene. A West Midlands Ambulance Service spokesman said: “On arrival, the ambulance staff found a bus that had left the road to the nearside and was at an angle in the ditch. Wednesday 14th January 2015 – 11.30am – Suzie Wheaton. 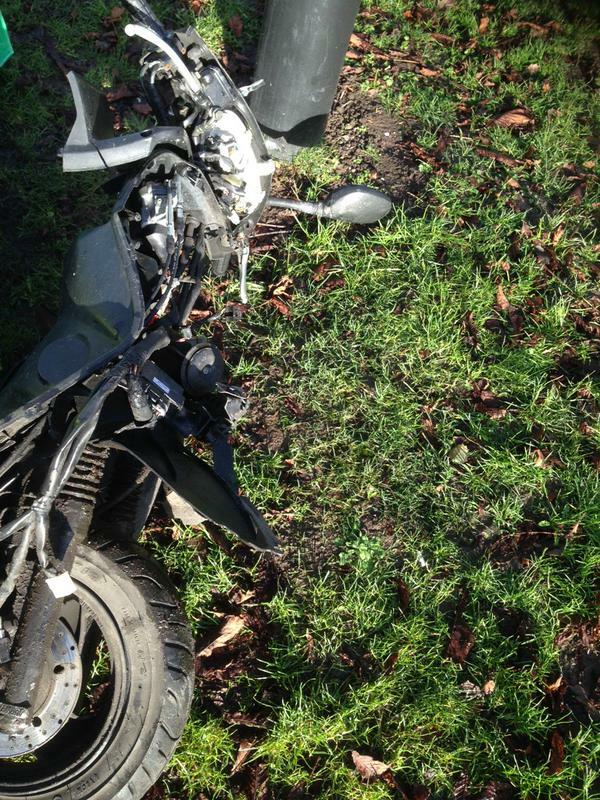 A motorcyclist has died following a collision in Solihull this morning. West Midlands Ambulance Service was called to reports of a moped and a 4×4 vehicle that had been in collision near to the railway bridge on Four Ashes Road in Bentley Heath shortly after 6.50am. Two ambulances, a rapid response vehicle, a paramedic area support officer and BASIC doctor attended the scene. A West Midlands Ambulance Service spokeswoman said: “Crews were called to reports of the motorcyclist and a 4×4 vehicle that had been in collision. Wednesday 14th January 2015 – 10.55am – Murray MacGregor. For 550 people across the West Midlands, there was good news at the start of the week, but also a realisation that the hard work has just begun. 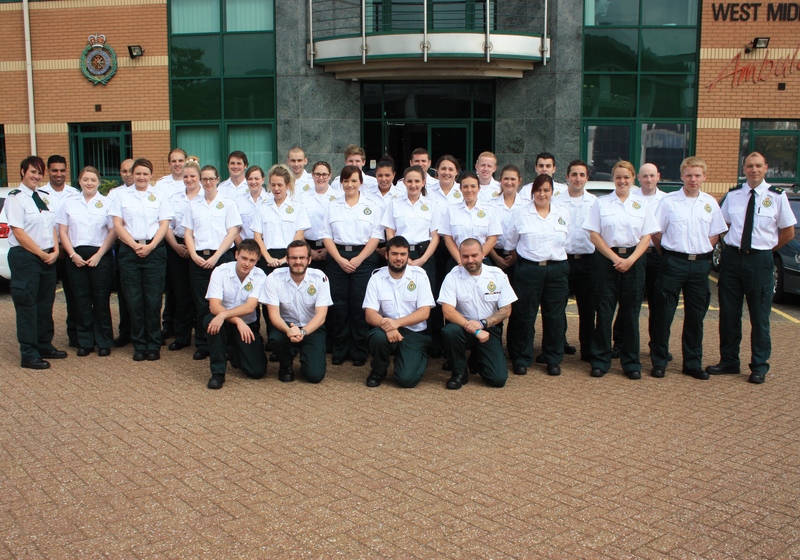 The group are the lucky ones who have made it through the first round of recruitment to become one of 300 student paramedics with West Midlands Ambulance Service later this year. The posts, which were advertised over the Festive season, will all be filled within the next few weeks with all 300 beginning their training by the summer. The next round of the selection process will test each of the candidates on their Level 2 Literacy & Numeracy skills and their knowledge of the Highway Code. Practice papers are widely available on the internet for anyone wishing to practice. Also as part of Stage 1 candidates will be assessed on their ability to work with others to solve problems. Those that pass the first round of testing are then invited to take part in an interview along with a test of their driving ability and also a fitness test. Recruitment Advisor, Louise Harris, said: “We are delighted that so many people made it past the initial shortlisting. For some, the thought of going through over 1,000 applications might be daunting, but when you see the efforts that the candidates have gone to filling in the applications and the enthusiasm they show, it is a rewarding process. Knowing what the job is about and what they are signing up for. A lot of the information is contained within the job specification, but you can also find plenty of information on our website. Being able to show us what their relevant experience is and how that might be useful in their new role. That isn’t necessarily about the caring they might have done, but also their problem solving abilities. Our staff regularly have to think on their feet to get the right care for the patients they are dealing with. Being a paramedic can be physically tough so a good level of general fitness is important. Specifically though, we will be checking flexibility – can you touch your toes for example and your ability to lift is measured through the ‘grip’ and ‘leg strength’ tests. The cardio element of the fitness assessment simulates attending a cardiac arrest; carrying your equipment up stairs to your patient, performing CPR and then carrying your patient back down the stairs. Tuesday 13th January 2015 – 3.40pm – Chris Kowalik. 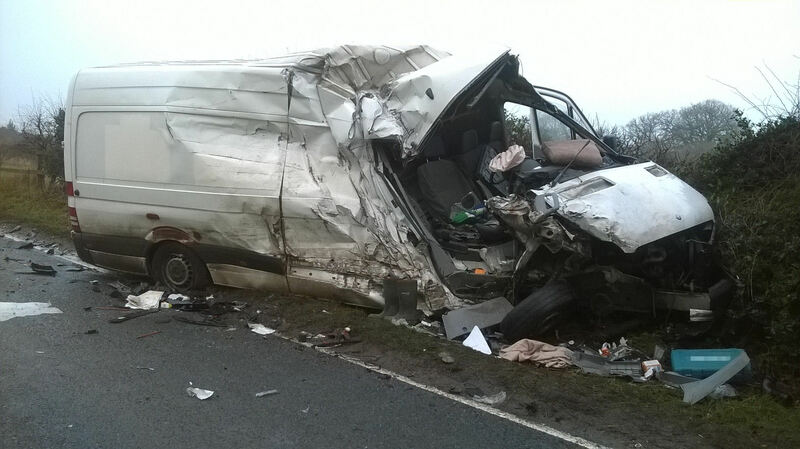 A man has suffered numerous injuries in a collision involving the van he was driving and a heavy goods vehicle on the M6. West Midlands Ambulance Service was called to the southbound carriageway between junctions 4a and 4 shortly before 9.25am today. A paramedic, an advanced community paramedic and a paramedic area support officer attended, each in a rapid response vehicle. An ambulance crew and the Midlands Air Ambulance from Cosford also attended. A West Midlands Ambulance Service spokesman said: “The front of the van ended up wedged beneath the HGV’s trailer. 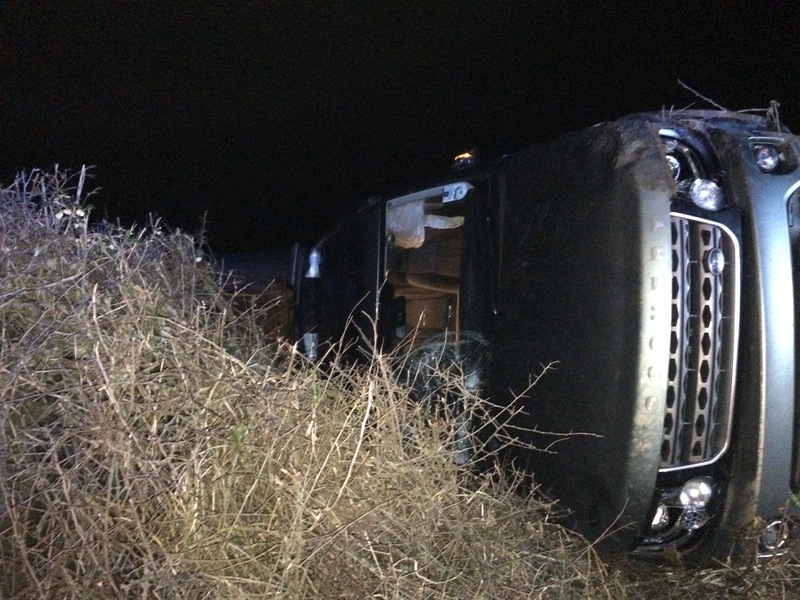 The van’s driver was trapped in his vehicle which had to be winched away from the HGV in order for him to be freed. He had broken both legs and a wrist. He also had a suspected fractured pelvis. 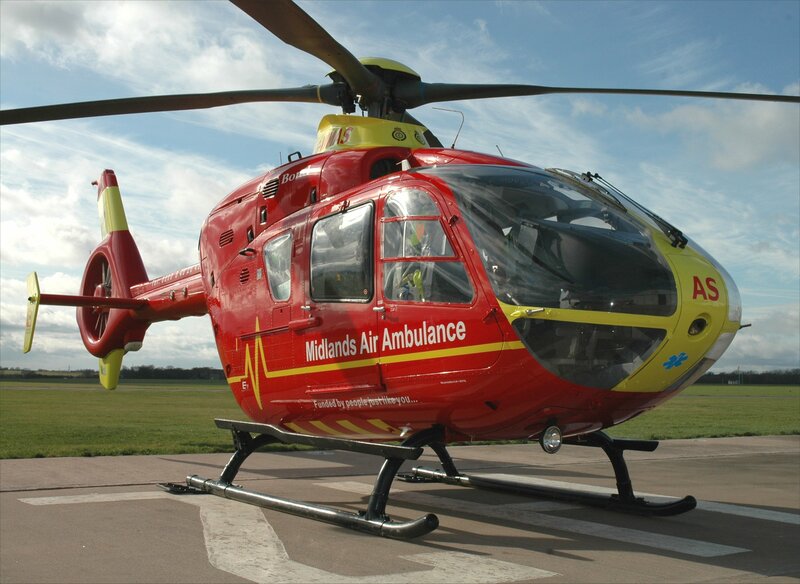 A pedestrian has been airlifted to hospital following a collision with a car in Shropshire. West Midlands Ambulance Service was called to Dawley Green Way shortly before 1.45pm today. A rapid response vehicle, an ambulance crew and the Midlands Air Ambulance from Cosford attended. A West Midlands Ambulance Service spokesman said: “The man, who is in his sixties, had a head injury. Monday 12th January 2015 – 3.30pm – Steve Parry. Eight people have been taken to hospital following a three vehicle road traffic collision in Sutton New Hall, Birmingham this afternoon. West Midlands Ambulance Service was called to the incident at the junction of Upper New Holland Road and Kathleen Road at just before 1.50pm. Three ambulances together with a paramedic in a rapid response vehicle attended the scene. A West Midlands Ambulance Service spokesman said: “Ambulance crews responded to a road traffic collision involving three vehicles. “In the first car, ambulance crews treated a male driver in his forties for chest pain. A female passenger in her sixties received abdominal pain and a child was treated for a neck injury. “Three men, believed to be in their twenties and travelling in the second vehicle involved were treated for arm, head and shoulder injuries. “Two women believed to be in their sixties and travelling in a taxi were treated for back and shoulder injuries. “The driver of the taxi and another passenger were assessed at the scene and later discharged. Monday 12th January 2015 – 6.45am – Suzie Wheaton. Two people have been injured following a house fire in Birmingham in the early hours of this morning. West Midlands Ambulance Service dispatched two ambulances, a rapid response vehicle and a paramedic area support officer to the incident on Edendale Road in Sheldon shortly after 1.50am this morning. A West Midlands Ambulance Service spokeswoman said: “Crews arrived on scene to find the residential property well ablaze. “Fortunately the two occupants of the house had managed to get themselves out of the property. One man, who had jumped from the first floor window to escape the blaze, was treated for burn injuries to his right arm and the effects of smoke inhalation. “A woman, who had managed to navigate herself through the burning building and out through the door, was treated for burns and a laceration to one of her arms. Monday 12th January 2015 – 6.20am – Suzie Wheaton. A man has died following an incident in Worcestershire yesterday. 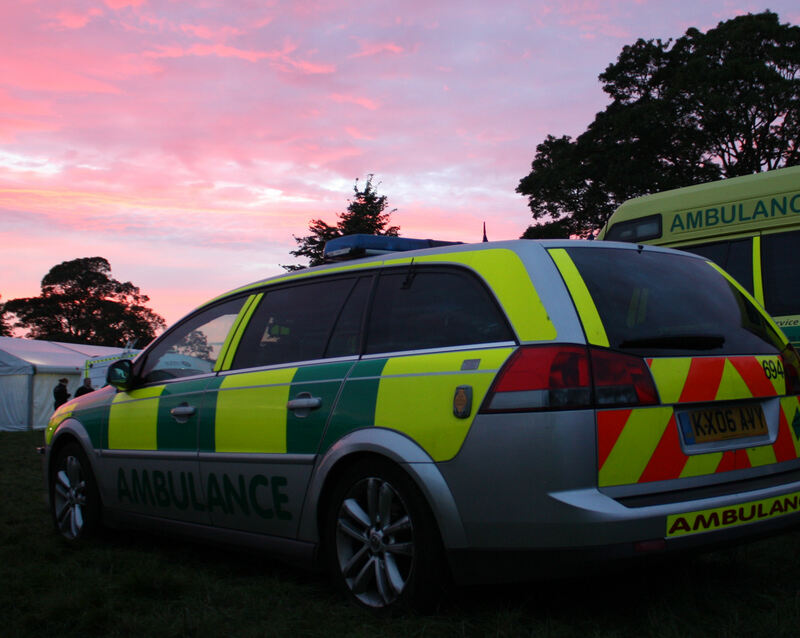 West Midlands Ambulance Service was called to a road traffic collision on Wolverley Road in Wolverley, Kidderminster at approximately 6.55pm yesterday evening (Sunday). Two ambulances and a senior paramedic officer were dispatched to the scene. A West Midlands Ambulance Service spokeswoman said: “Crews were called to reports of a pedestrian that was believed to have been in collision with a number of cars. Saturday 10th January 2015 – 6.40pm – Suzie Wheaton. A motorcyclist has been airlifted to hospital following an incident in Shropshire today. West Midlands Ambulance Service dispatched an ambulance and the Midlands Air Ambulance from Cosford to Whitchurch Road in Wem shortly before 3.45pm this afternoon. A West Midlands Ambulance Service spokeswoman said: “Crews were called to reports of a motorcyclist who had become injured after coming off his bike and colliding with a hedge. “On arrival at the scene, crews treated the motorcyclist, a man in his 50’s, for injuries to his chest, pelvis and leg. Saturday 10th January 2015 – 7.00am – Suzie Wheaton. A woman has died following a house fire in Birmingham yesterday. West Midlands Ambulance Service dispatched an ambulance and a paramedic area support officer to a building fire on Church Hill Road at approximately 6.50pm yesterday evening. A West Midlands Ambulance Service spokeswoman said: “Crews were called to reports of a fire at a private property. Thursday 8th January 2015 – 1.45pm – Jamie Arrowsmith. A pedestrian has been treated for head and rib injuries following a collision with a car in Dudley this morning. West Midlands Ambulance Service was called to Halesowen Road, Netherton, shortly before 7am. An ambulance and a paramedic area support officer attended the scene. A West Midlands Ambulance Service spokesman said: “On arrival crews arrived to find a man in his 50s who had been involved in collision with a car. It is believed the man’s head collided with the car windscreen in the incident. “Following assessment from ambulance staff he was treated for cuts to his head and fractured ribs. He was then immobilised with the use of a scoop stretcher and neck collar before being taken to Russells Hall Hospital. Thursday 8th January 2015 – 11.55am – Chris Kowalik. 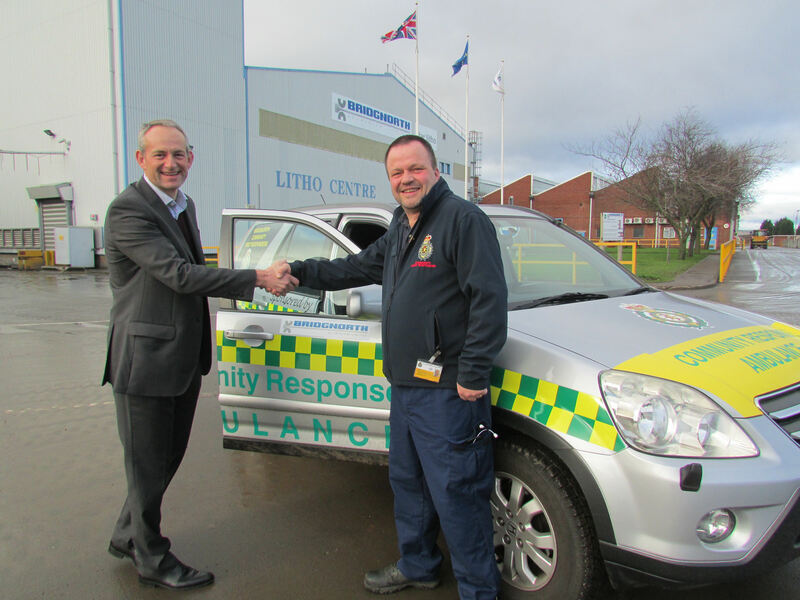 Volunteer lifesavers in Shropshire have bought a response car, with the help of a generous donation from a local business. 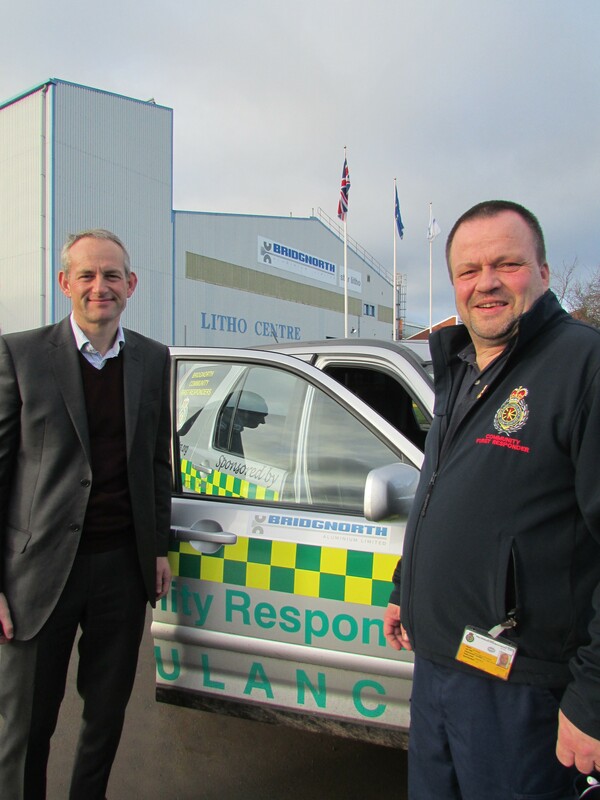 Bridgnorth Aluminium has given the town’s Community First Responders £3,000. The money has been added to fundraising already underway and brought forward the purchase of the Honda CRV. Co-ordinator of the Community First Responder scheme Ian Thompson said: “Whilst the volunteers have been actively fundraising in different ways, an extremely generous four figure donation from Bridgnorth Aluminium has seen the purchase of a vehicle happen far sooner than we ever anticipated. “Our members now have a four wheel drive vehicle available for use in time for the winter period which is a bonus, but beyond that, a dedicated vehicle to ensure we are able to provide as much emergency cover as possible between our volunteers in Bridgnorth, in support of the ambulance service. Community First Responders are members of the public trained by West Midlands Ambulance Service in a number of assessments and procedures. They volunteer their spare time to be called upon by the ambulance service’s control room to attend a medical emergency in their area while a blue-light vehicle is en-route. Crews assessed the drivers of each of the cars, both men believed to be in their 50’s. Fortunately, neither was found to be injured and they were discharged at the scene. Wednesday 7th January 2015 – 9am – Jamie Arrowsmith. The service is run by West Midlands Ambulance Service and covers the region except Staffordshire. Call levels have continued to rise steadily since WMAS took over the running of 111 from NHS Direct in November 2013 and this latest milestone continues to demonstrate that public faith is continuing to be restored in the service. A lot of hard work has gone into improving the service during the previous 14 months, including increasing staffing numbers, extending training and changing the way the call centre operates. The milestone call came during an extremely busy festive period for the service which saw a surge in the numbers of people using it. A total of 57,596 people dialled 111 between Monday, December 22 and Sunday, January 4. This represents a rise of 50% compared to the same period 12 months ago when 38,299 people used the service. On December 26th and 27th alone, a total of 15,880 calls (8617 on December 27 and 7263 on December 26) were received, the two busiest days ever experienced since WMAS took control. 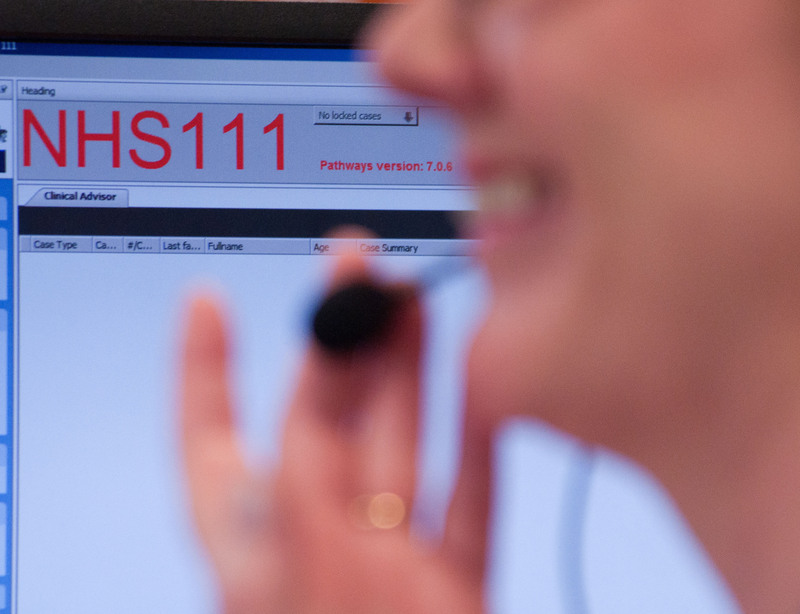 Liz Parker, Quality, Service and Improvement Manager for NHS 111 (West Midlands), said: “We have seen an extremely high number of people using the 111 service throughout December, particularly over the festive period. Whilst it has meant a lot of hard work for our staff, what it does show is that an increasing number of people in the region know about the service and are getting the service they need without having to dial 999 or go to A&E which is exactly what 111 was designed to do. “Reaching one million calls is a significant landmark for us and one that the staff are really proud of achieving. 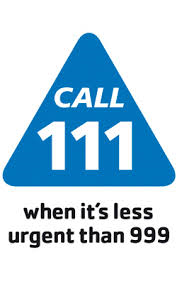 NHS 111 designed to offer fast medical help when not in an emergency situation. It is available 24/7 and all calls are free, whether from a mobile or a landline. When calling the service, your call will be answered by a health advisor who will ask you a series of questions and then direct you to the most appropriate healthcare service. In some cases a clinician will call you back or an appointment will be made for you at the most appropriate service.